After operating for two decades as one half of a well-known local development duo, Rick Gregory is going his own way. A former partner and co-founder of Fountainhead Properties with Tom Papa, Gregory has formed a new development firm called Lynx Ventures LLC. The company, which will be headquartered in Manchester, is a partnership between Rick’s son, John Gregory, and business partner Bernard Harkless. While all three split from Fountainhead at the start of this year, Gregory said the transition to Lynx happened months before he officially launched the company. Papa will continue to operate Fountainhead, which continues work on The Locks development downtown and plans to partner with Lynx when necessary and advantageous. Gregory said Lynx will focus on mixed-use development, income-based housing and redeveloping spaces that bring jobs to the city. That means a renewed focus on the city’s Southside – particularly the Jefferson Davis Highway corridor and Manchester. Long-abandoned by major employers in tobacco and manufacturing, the Jefferson Davis Highway corridor includes some the largest inventory of dormant warehouses in the city. City planning staff has been targeting the corridor for revitalization and to re-situate some of the surrounding residential neighborhoods, such as Blackwell, Clopton and Maury. Preliminary discussions around the city’s Richmond 300 master plan have been to push more light and flex industrial development along the Jefferson Davis Highway corridor. Gregory said light industrial is an important ingredient to redevelopment of the stretch. “There is a need for jobs in that area … and light industrial and manufacturing could help stabilize the area more,” he said. One such project that will continue under the new Lynx brand is the ongoing redevelopment of Clopton SiteWorks, a collection of 26 warehouses totaling 1 million square feet once owned by Philip Morris. It has been repurposed for small business and light manufacturing tenants. Fountainhead purchased the buildings and began the redeveloping the historic tobacco warehouses in 2015. The firm will maintain six of the buildings on the property. 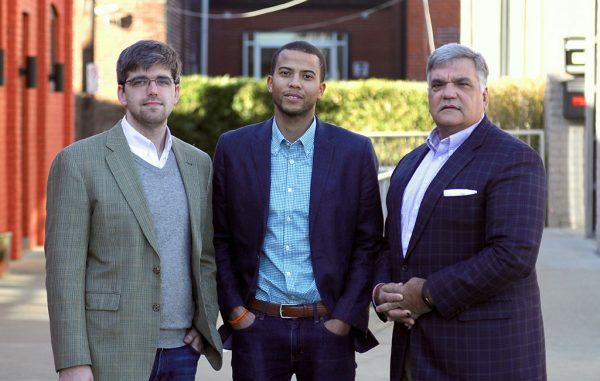 Ushering a new phase for Clopton, Lynx has secured a $622,000 loan from Virginia Community Capital to redevelop three 20,000-square-foot buildings on site. Gregory said the next phase will include a commercial kitchen. Lynx also will continue to target income-based apartment projects, with its eyes set on Manchester. The company now is overseeing the $14.4 million addition of 104 residential units at New Manchester Flats, a multi-phased development it first launched with Fountainhead at 915 E. Fourth St. in southern Manchester. It also has started construction a 48-unit expansion of its Carlton Views development in Charlottesville. As one of its first ground-up construction projects, Lynx is planning a $50 million, 250-unit apartment development in the Manchester area, Gregory said. 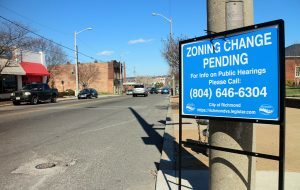 Gregory owns the 400 block of Hull Street, a 1.6-acre surface parking lot wedged between Plant Zero and the Port RVA apartments in Manchester. Fountainhead owns the 200 and 300 blocks of Hull Street where Plant Zero’s sprawling mixed-use complex resides. The sites are being considered by the city for B-5 Central Business District rezoning, which allows looser parking requirements and taller buildings. Lynx also will oversee future redevelopment on a neighboring property to the region’s first Top Golf facility planned at 2308 Westwood Ave., just west of Scott’s Addition. Top Golf is under contract to purchase 14 acres from a partnership between Lynx and Rebkee Co. The partnership paid $6.5 million for the property in a September 2017 deal that also included the 220,000-square-foot Sears Outlet and distribution complex and its surrounding 12 acres at 4100 Tomlynn St.
“This is just the beginning,” Gregory said. 1 Comment on "Gregory splits from Fountainhead, launches Lynx"
Hooray for the Gregorys and Harkless. This is mission based company. Bernard is a rising figure in the development arena in Richmond.